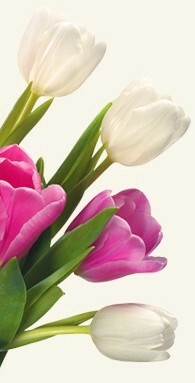 Login to my flowers4ibiza.com account to track the status of your order or visit our customer service page. Login to my flowers4ibiza.com account to modify your order or visit our customer service page. All changes must be 24 hours before delivery. After that time, we cannot guarantee there will be enough time for the changes you request. At Flowers for Ibiza we only use the very best in security for our online payments. We use PayPal for our online payments and as one of the largest payment processors in the world their security is top notch. flowers4ibiza.com keeps customer information completely confidential. Our company does not share customers' personal information for third-party use or sell it to advertising agencies. In the event of a legal requirement, fraud, or law-enforcement request, your personal information may be shared upon request from the relevant authorities. The delivery costs are: Ibiza Bairro Antiguo 9.00 EUR, Ibiza Bairro Sa Penya 9.00 EUR, Ibiza Benirras 33.00 EUR, Ibiza Cala Bassa 33.00 EUR, Ibiza Cala Boix 33.00 EUR, Ibiza Cala Carbo 33.00 EUR, Ibiza Cala Conta 33.00 EUR, Ibiza Cala d´Hort 33.00 EUR, Ibiza Cala Jondal 28.00 EUR, Ibiza Cala Llenya 33.00 EUR, Ibiza Cala Llonga 20.00 EUR, Ibiza Cala Martina 28.00 EUR, Ibiza Cala Moli 33.00 EUR, Ibiza Cala Nova 33.00 EUR, Ibiza Cala Pada 28.00 EUR, Ibiza Cala Salada 33.00 EUR, Ibiza Cala San Vicente 33.00 EUR, Ibiza Cala Tarida 33.00 EUR, Ibiza Cala Vadella 33.00 EUR, Ibiza Cala Xarraca 33.00 EUR, Ibiza Cala Xuctar 33.00 EUR, Ibiza Es Cana 26.00 EUR, Ibiza Es Cavallet 23.00 EUR, Ibiza Es Figueral 33.00 EUR, Ibiza Figueretas 14.00 EUR, Ibiza Ibiza Town 9.00 EUR, Ibiza Las Salinas 23.00 EUR, Ibiza Molins 9.00 EUR, Ibiza Niu Blau 28.00 EUR, Ibiza Playa d´ en Bossa 18.00 EUR, Ibiza Portinatx 38.00 EUR, Ibiza Pou d´es Lleo 33.00 EUR, Ibiza Puerto de San Miguel 33.00 EUR, Ibiza S Argamassa 28.00 EUR, Ibiza S Eixample 9.00 EUR, Ibiza Sa Caleta 23.00 EUR, Ibiza Sa Maria 9.00 EUR, Ibiza San Agustin 26.00 EUR, Ibiza San Antonio 26.00 EUR, Ibiza San Antonio Bay 26.00 EUR, Ibiza San Carlos 26.00 EUR, Ibiza San Jordi 18.00 EUR, Ibiza San Jose 24.00 EUR, Ibiza San Juan 28.00 EUR, Ibiza San Mateus 28.00 EUR, Ibiza San Miguel 28.00 EUR, Ibiza San Rafeal 18.00 EUR, Ibiza Santa Eulalia 20.00 EUR, Ibiza Santa Gertrudis 20.00 EUR, Ibiza Santa Ines 28.00 EUR and Ibiza Talamanca 18.00 EUR. How do I contact flowers4ibiza.com customer service if there is a problem? 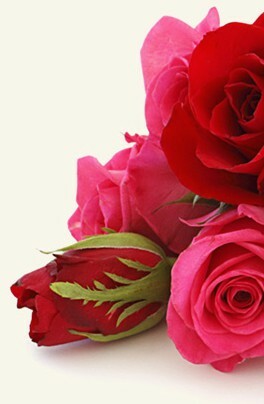 Use my flowers4ibiza.com account to access your account and contact customer service. Alternatively, call our customer service department.